Over the long term, good pheasant hunting depends on good grassland habitat. But year to year, pheasant numbers rise or fall on the vagaries of weather. Long periods of cold and snow hurt pheasant survival, especially if habitat is marginal. Wet, cold springs hamper nesting success. And so it was this year. Some states and regions were blessed with both mild winters and springs. Others were pummeled with snow and rain. Pheasant-country biologists will better understand how good hunting will be once they compile information from roadside surveys this month. In the meantime, here are their best guesses, based on nesting conditions and anecdotal reports. 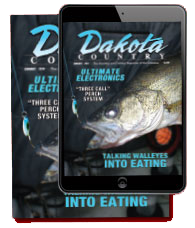 North Dakota hunters have reason to be optimistic. Winter was fairly mild, with minimal snow. Spring crowing counts were up about 11 percent statewide. The effects will probably be uneven and localized. Hunters can also look forward to habitat improvement projects. The department received a $3 million Outdoor Heritage Fund grant to leverage more than $3 million of PLOTS funds and about $34 million from the USDA -- a total of about $40 million to benefit water quality, habitat conservation, and public hunting access. The good news: South Dakota also had a mild winter that ushered a lot of birds into the nesting season. “The overwinter survival of those hens was good, so we should have had a good bunch of birds coming into spring for the nesting and brood-rearing period,” said Travis Runia, upland game biologist for the South Dakota Game, Fish and Parks Department. Spring weather started dry but May rains fixed that. The bad news: Some freakish spring weather. Portions of north-central South Dakota got up to 9 inches of rain, which may have inundated some nests. And winds up to 80 miles an hour may have wiped out chicks. Even so, Runia is confident that bad weather was spotty enough that plenty of broods survived. Long-term, CRP is still a concern, Runia says. Acreage is stable at a bit under 1 million acres -- about 500,000 fewer than the peak in 2007. 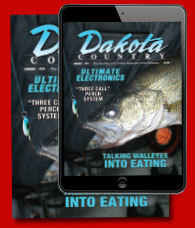 Put Dakota Country Magazine on your Christmas list this year!